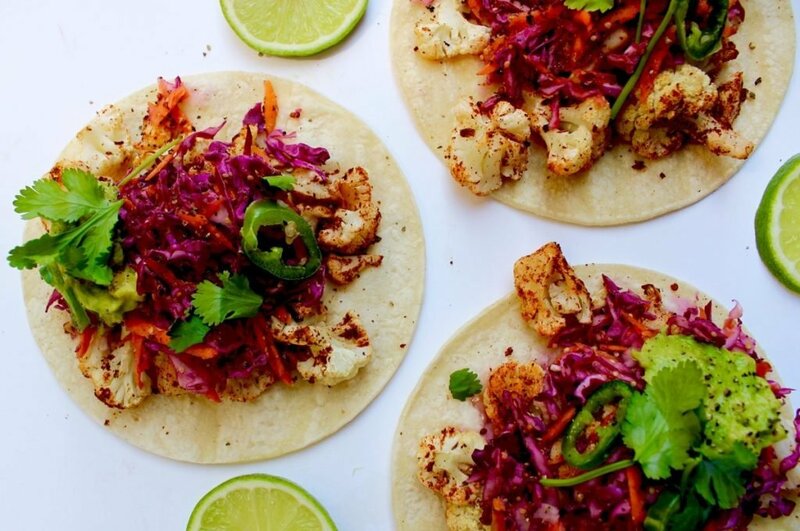 These roasted cauliflower tacos provide a burst of flavor that will have you wanting to prepare another batch as soon as these disappear. Don’t get overwhelmed by the semi-long ingredient list! This recipe is relatively simple and painless to prepare. Depending on how much you eat, this recipe is good for 1-2 people. I had a huge appetite and was hangry (hunger-induced anger), so I enjoyed these all by myself. Let’s get into how you’ll be whipping these beauties up! First you’ll be preparing a spice mix with spices listed below, lime juice, and water. 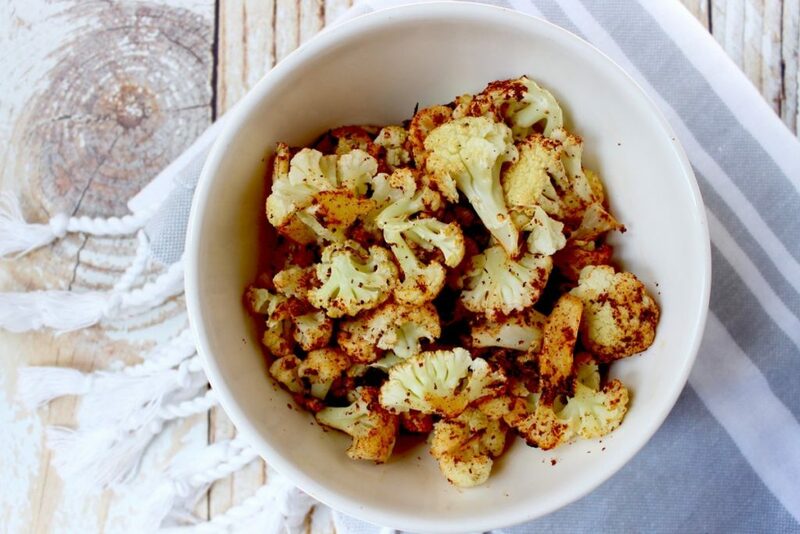 You’ll be drizzling this yummy mix over your cauliflower florets, and then baking on 400F for 30 minutes. While this is happening, you’ll prepare a crunchy red cabbage slaw to top the tacos. The slaw is made with red cabbage, carrots, jalapeño, mustard, and apple cider vinegar (adds a huge kick in flavor!) Once the cauliflower is crisp and brown, you’ll be adding them to your warm tortillas and topping with the red cabbage slaw. We’re going to finish these off with fresh cilantro, avocado, and salt to taste. These tacos are a great option for when you’re spending the day in and want a simple, yet satisfying meal. Although all of the ingredients in this recipe are superheroes, today we’ll give a big shout out to our girl red cabbage. Besides adding crunch to this recipe, red cabbage is incredibly rich in Vitamin C & K. The deep red colors are an excellent source of anthocyanins; plant pigments that have anti-carcinogenic and anti-inflammatory properties. You can add red cabbage to salads, meals, or soups. 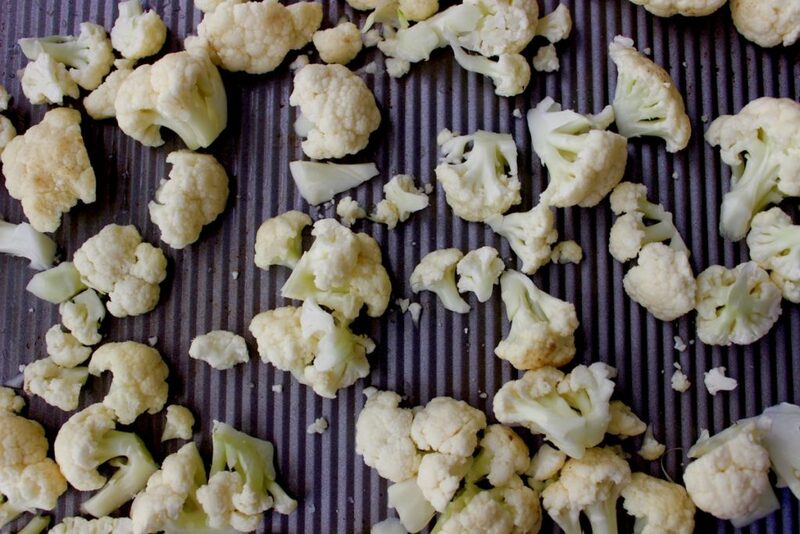 Place your cauliflower florets on a baking sheet lined with parchment paper. In a small bowl, mix chili powder, cumin, garlic powder, and cayenne pepper with lime juice and water. While the cauliflower is baking, prepare your red cabbage slaw by simply tossing your grated carrot and red cabbage in a bowl with Dijon mustard, apple cider vinegar, and sliced jalapeño pepper rounds. Set aside. 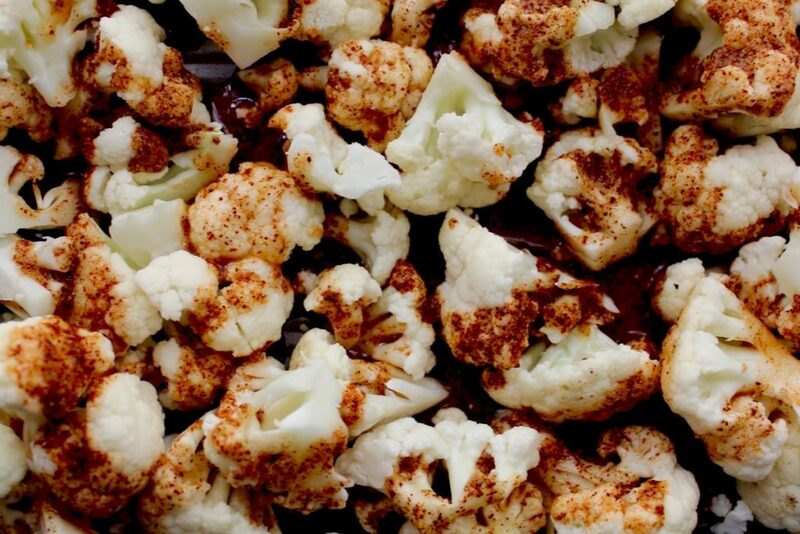 Once the cauliflower is ready, remove from the oven and we’ll get to stuffing! Finish by topping with fresh cilantro, sliced avocado, and salt to taste. Enjoy! Holy Frick! This Recpie Totally Rocks!